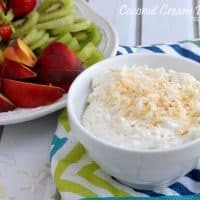 This sweet COCONUT CREAM PIE DIP is such a delightful treat for dipping your fruit, cookies, or even just a spoon! It is sure to remind you of your favorite coconut cream pie, but with this recipe, it comes together in just minutes. Food holidays are weird, right? You know what I’m talking about. National Cookie Butter Day. World Syrup Day. National Cover-Everything-In-Chocolate Day. I don’t know, they’re just a little strange. Who’s making this stuff up? And who is actually actively celebrating these days. Like on chocolate day, do you really go all out and eat everything chocolate that you can get your hands on? Once I found out it was World Coconut Day all bets were off. There would be no mundane recipe. There would be celebrations all around. Coconut flying through the air. Coconut drinks. Coconut lattes. Coconut pancakes. Coconut butter. Coconut syrup. Coconut chocolate. Coconut everything puh-lease! It’s actually kind of a problem. What kind of hand soap do I buy, you ask? Well, coconut scented, of course? And what about your body wash? Tropical coconut. And of course all.the.candles. They’re all coconut! I actually have to restrain myself to not put coconut in every single recipe I post here. But today, we’re celebrating. We’re celebrating the glorious day that is World Coconut Day with this amazing (and way too easy for my comfort!) 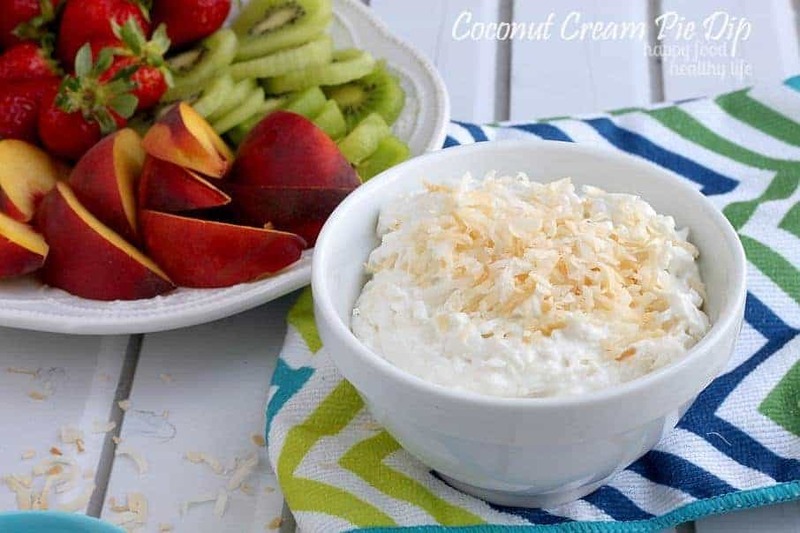 Coconut Cream Pie Dip. Come.to.Mama! I know this isn’t healthy. At.all. But for this day, like I said, all bets are off. Coconuts are fruit, right?? are they? (google just told me it’s a fruit, seed, and a nut…. triple healthy!!!) And the fruit you dip in it is going to be healthy, right?! So it’s healthy! Well, healthy or not, this is one fruit dip you are not going to want to miss out on. Coconut is worth celebrating and this is one food holiday I can get behind and support 100% – regardless of how weird food holidays are. Combine cream cheese, sugar, and refrigerated coconut milk with a mixer. Mix until completely smooth. Add in shredded coconut and combine with a spoon or spatula. To toast coconut: Place on a baking sheet in a single layer. Place in an oven at 300 degrees. After about 5 minutes, check to see if it's started to brown. Once it has started to brown, use a spatula to toss the coconut so it browns evenly about every 2 minutes. Don't leave it for too long. It can burn very quickly if you're not careful. nope, it sure didn’t at mine either! This sounds amazing!! 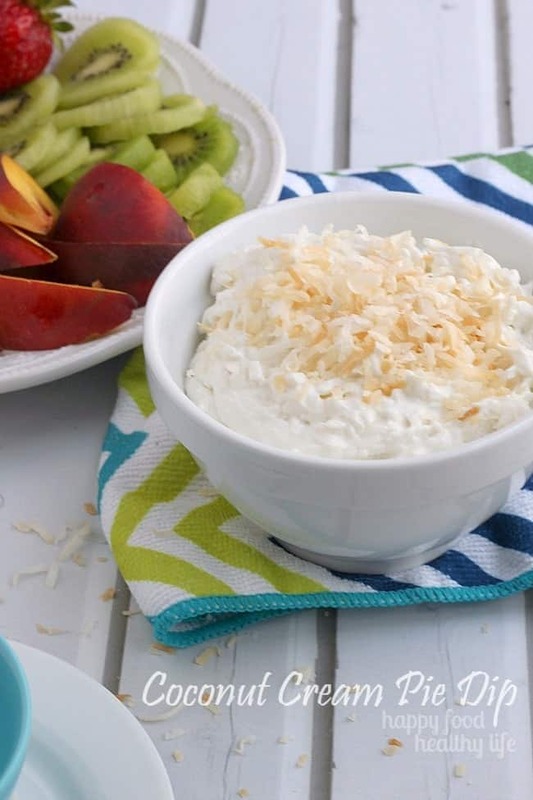 I put coconut in everything I can get away with, so I will definitely be making this dip soon. Thanks for sharing! in that case, you’re going to love it! I used to hate coconut. And now I can’t go a day without it – so crazy! This dip looks ah-may-zing. I want to eat it, face-first! Pinned! yes, face first is THE only way. I don’t remember a life when coconut wasn’t always in the back (or front) of my head. I will be joining you in confessing that I LOVE coconut. I am not sure what it is, but I am glad you like it too! I love celebrating weird food holidays! It’s National Waffle Week and I’ve been sharing waffle recipes over at my blog. But Coconut?! How did I not know this?! I’ll definitely have to whip up some of this dip and celebrate. It looks amazing! Ooooh, there are so many fun things to do with waffles! I’m definitely going to be checking it out! I hope you try the dip too! I’m so glad you decided to celebrate World Coconut Day! I love coconut anything, but especially coconut cream pie. Now you’ve made this awesome dip that is so much easier, pretty sure I would eat the whole bowl by myself! Oh yes, it didn’t last long at all in my house either. Way too easy to make, and even easier to eat. Just curious could you use greek yogurt instead of cream cheese? You could, yes, but I can imagine that it wouldn’t be quite as thick as if you used cream cheese. I’ve actually seen a Greek Yogurt + Cream Cheese blend sold at my local grocery store. Maybe you also have something like that? Oh boy, I don’t think I would be able to resist eating the entire bowl of this. 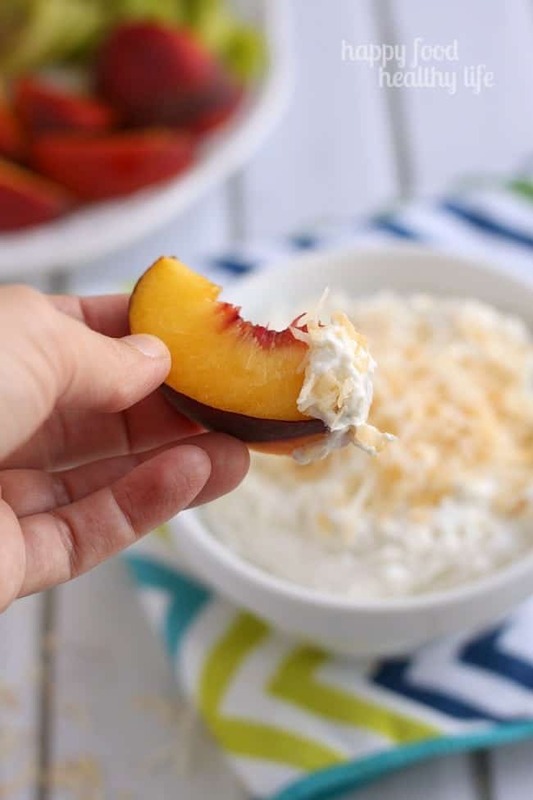 I LOVE coconut cream pie, and can often go a little cray-cray when it comes to dips. This is dangerous! Julie I didn’t know about coconut day until just days before, and I had to drop everything and whip something up right away! I was not missing out on such an ocasion! Oh my. I think I’ve fallen in love. I truly adore coconut cream pie. I imagine this would be just as delicious. 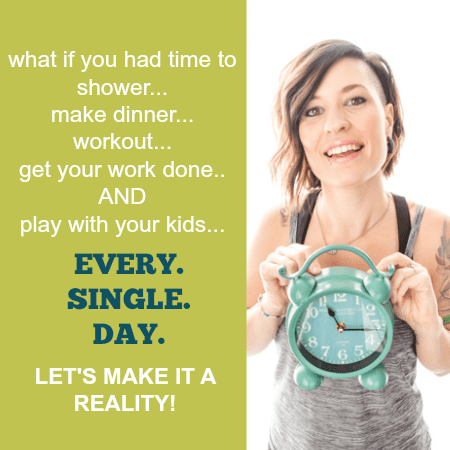 I’d be thrilled if you linked this up to my Creative Ways Link Party that just went live tonight. Hope to see you there! I totally get it – it was love at first bite for me too! I LOVE coconut, too! So does everyone on my dad’s side of the family. Genetic?!?! Great recipe!!! I wish everyone loved it as much as I did. It would make picking dessert recipes much easier! Glad you loved the dip – it’s a keeper for sure!